Viewing Orders allows you to view any outstanding orders and the details of them to allow you to pack and complete the order. 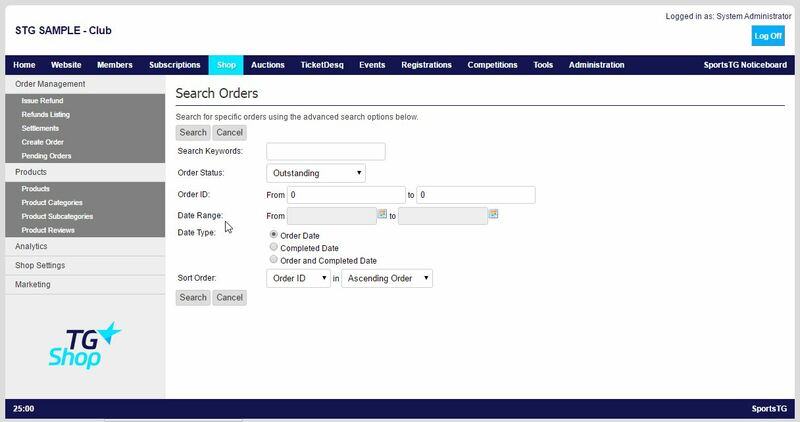 You can filter your orders by a date range using the Advanced Search function to enable you to only view orders from a specific date when completing or viewing orders. 3. Select Advanced Search at the right of the Search field. 4. You will then need to filter on the Date Range and Date Type. You can filter on the Order Date, Completed Date or Both. 5. Click Search to view the orders from your selected date range. If searching for orders by their Completed Date, you will need to make sure you are in the Shipped area of Orders for the correct orders to display. Note: Filtering Orders allows you to view only those orders placed in a certain date range without having to sort through all the orders in your system.